Yksion Elite tyres are lightweight and a store favourite for being puncture proof! 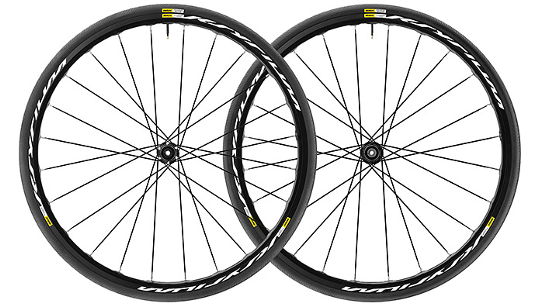 Designed to perform for big rides, the Mavic Ksyrium Disc is the next step forward from the Ksyrium rim-brake wheel. Mavic produced Inter Spoke Milling technology to provide the perfect balance to their disc wheels for durability and low-weight speed. 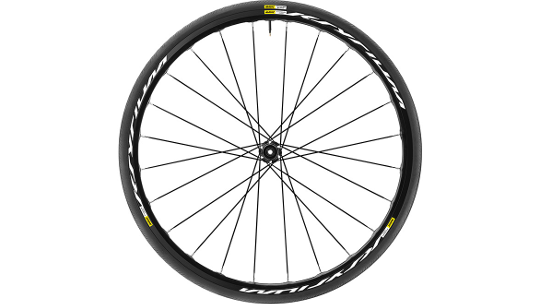 Mavic also increased the number of spokes from 20 to 24 that are featured on both wheels that help to improve handling as well as increase torque levels that boost braking power. The hub is designed to take both 12mm thru-axles that can also be converted into 15mm thru-axles or quick release providing you with true versatility. Yksion Elite tyres provide low-rolling resistance as well as providing grip in all conditions and having a good-level of puncture resistance.